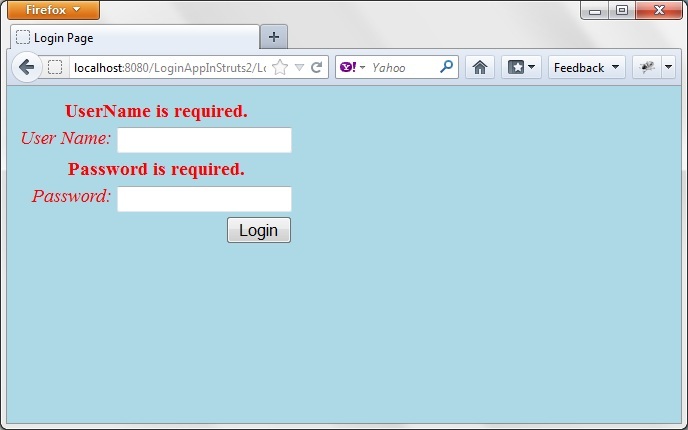 This is 6 of 8 part of struts 2 tutorial.In this tutorial we will learn how to upload file to server in struts 2 and also how save uploaded file on directory of server machine. Struts 2 file upload component can be used to upload mulitpart file in struts 2 application.Struts 2 utilizes in built File upload interceptor for uploading files in struts 2 application.The Struts 2 File Upload Interceptor is based on MultiPartRequestWrapper, which is automatically applied to the request if it contains the file element. We need to have 1 jar common-io.jar in your classPath.In configuring struts 2 in eclipse post,we have already added jar in classPath. 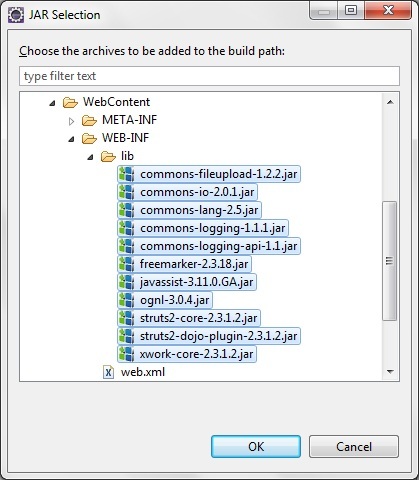 For adding file uploading functionality in struts 2,We will create action class named FileUploadAction.java. Create FileUploadAction.java file under src folder in package org.arpit.javaPostsForLearning. We have provided getters and setters for above attributes.So struts 2 automatically set these value according to file being uploaded. 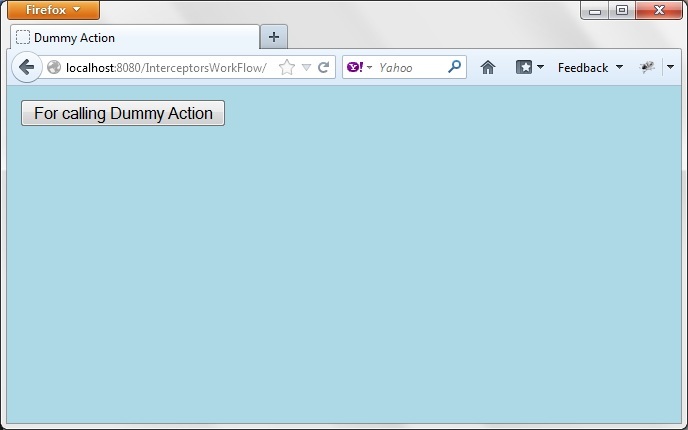 For example if your file name is “sampleFile” then struts 2 interceptor add three parameters to request. you can notice here that we have given our action class attributes in same format so it will automatically set these attributes according to file being uploaded. This is to get ServletRequest object.This request object is required to get path of server machine where file is to be uploaded. We will create two jsp files here.fileUpload.jsp will display form for uploading file.On clicking on upload button,File will be saved on server machine and request will be forwarded to uploadSucceed.jsp which will render fileName,content type and uploaded image. 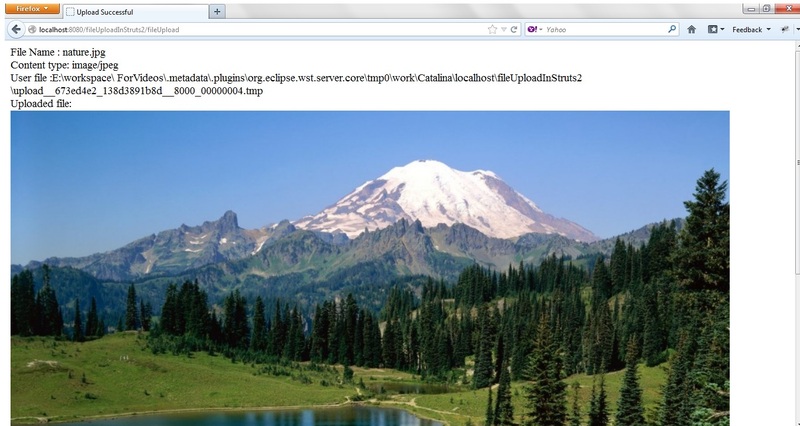 Create fileUpload.jsp under WebContent folder. Copy following content to fileUpload.jsp. 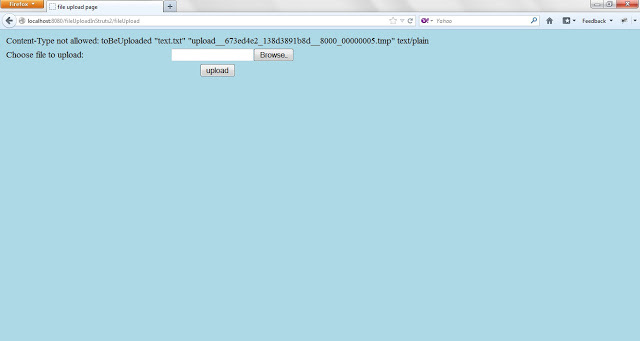 We have used tag for file upload interface. Create jsp named “uploadSucceed.jsp” under WebContent folder. 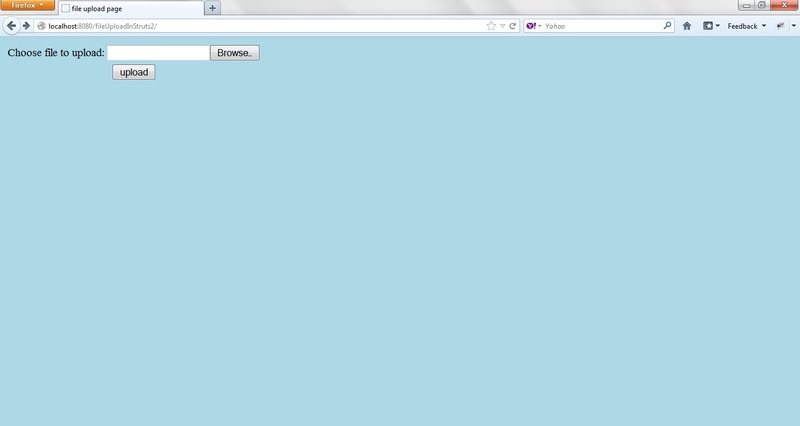 Copy following content into uploadSucceed.jsp. Create struts.xml under src folder. 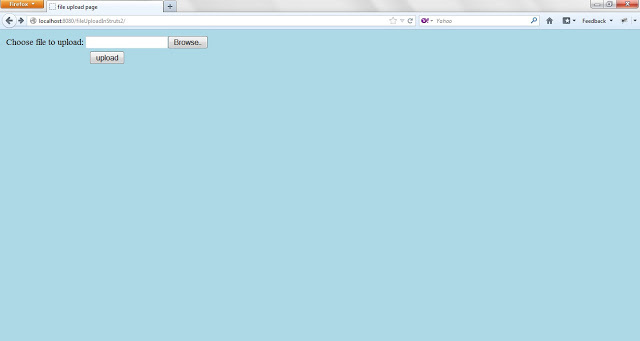 copy resultant url(http://localhost:8080/fileUploadInStruts2/) to your browser. you will get first screen again.We will browse image file named “nature.jpeg” and click on upload. 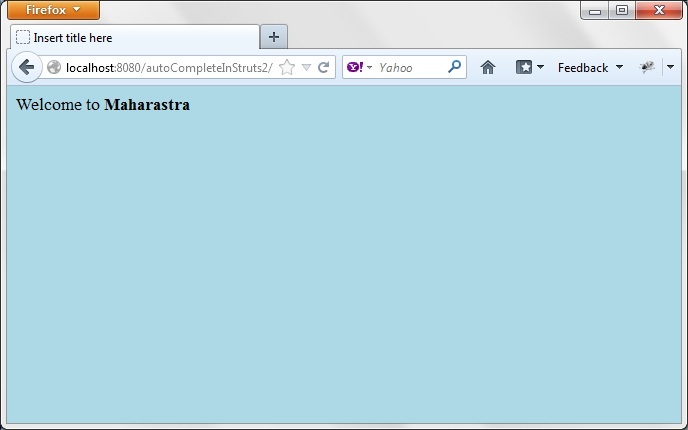 Now in next post,we will write struts 2 ajax example.